This past weekend brought a tonne of gaming news this weekend, with the debut of a new trailer and gameplay from the upcoming Star Wars Battlefront II. 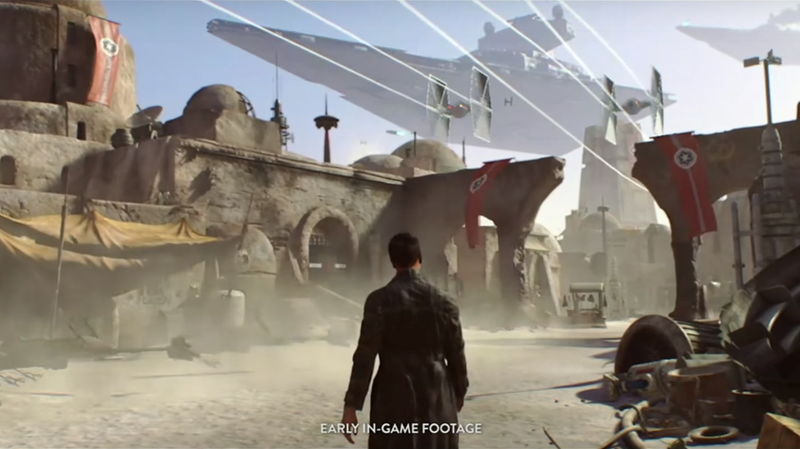 While the game's debut was met with great excitement, there have been questions about why none of the other games that EA is working (besides A Galaxy of Heroes) were featured in the presentation? By comparison, last year EA's presentation at E3 featured a video spotlighting all the projects the various game studios at EA are working on. One of the game's that people were most hoping to hear something about was the Visceral game that's been in development since 2013. The game is being overseen by creative director and co-writer Amy Hennig (Uncharted), who took to Twitter to explain why the game wasn't featured. Hennig tweeted, "It's #Battlefront2's year - very proud of our friends at DICE and Motive! We're still hard at work on our game, though, have no fear..."